The $1 freebie – PLUS! 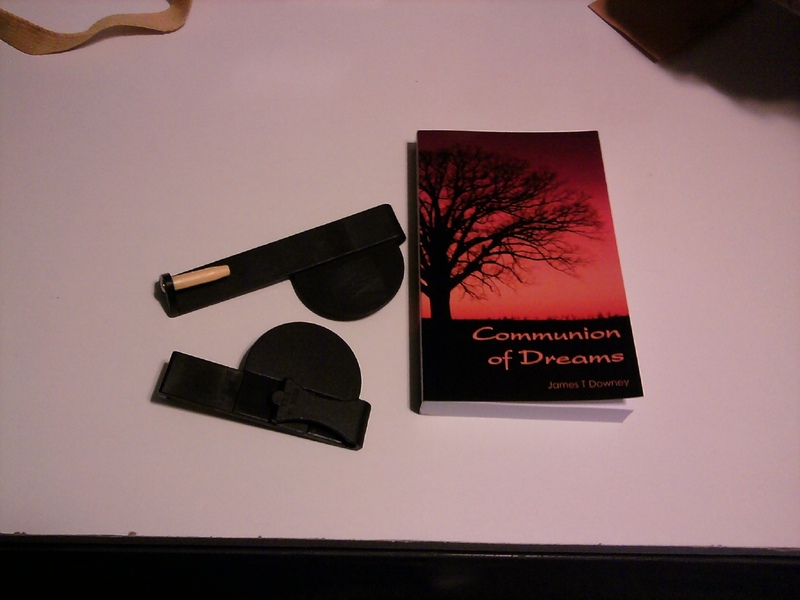 So, I have another free promotional day running on my novel Communion of Dreams today. All the info about it is in this blog post: the $1 freebie. That’s a pair of Versacarry holsters with a paperback copy of the book. These are both for .380/9mm/.357 Sig barrel guns, and are the “small” and “medium” sizes. If you’re not familiar with the Versacarry, here’s a good review by one of the other Guns.com writers. I’ve tested these two holsters, and found them to be an interesting and potentially useful minimalist IWB holster. So, what are you waiting for? Go register! I’ll draw a name from those submitted on Friday, Oct. 5th. The new Ballistics By The Inch site is now up and running! Bigger, Faster, And with More DATA! Take a look, spread the word, let us know if there are any glitches or problems. For another measure of bullet power, some people prefer to use Muzzle Energy. One of our BBTI readers went through and did all the calculations for this, using our data, and has been kind enough to share this information. You can find our Excel data files with muzzle energy calculations added in red, and a muzzle energy graph for each caliber on the caliber pages. New data posted: .380, 9mm Mak and 9mm Ultra. Well, we’ve done another substantial upgrade to the BBTI site – adding in two new cartridges and greatly expanding another. In addition we’ve done some clean-up and tweaking – big kudos to my good lady wife for all her hard work! The two new cartridges are 9mm Makarov (9×18) and 9mm Ultra (also call 9mm Police). Both of these were ‘European’ rounds, and are only available to a limited degree here in the US. This is why we only were able to test a limited variety of ammo (two for the Mak, one for the Ultra) and only used one ‘real world’ gun. I had been somewhat uninterested in both cartridges previously, but based on our tests I certainly would consider them to be viable self-defense rounds. It would be interesting to see the selection of both guns and ammo expanded. But the bulk of our testing, and data, this time around was in revisiting the .380 ACP cartridge. We tested 8 different brands of ammo, including two we had tested previously. And we also did ‘real world’ tests of an additional 8 handguns. This was such a large increase over the previous data sets that we added a whole additional page and separate link in the “results”, and you can find it here. I had always considered .380 a marginal cartridge for self defense, though it is very popular due to the large number of very small pistols which shoot the cartridge. And it still wouldn’t be my first choice for a self-defense gun. But were I going to carry it, I’d feel very comfortable loading it with either of the Buffalo Bore ammos which we tested – they were quite impressive. Lastly, we had a chance to do a bit of additional testing of the .327 Magnum round, this time shooting it through a Bond Arms derringer. This round still continues to impress me, and I am giving serious thought to getting one of these barrels for my own derringer. So, check out the new data, and spread the word!